Streamlight Siege AA Lantern is very compact and portable, perfect for when you don’t have plenty of space but want to illuminate large areas. It uses classic AA alkaline batteries that are very affordable and provides a soft but even 360° light distribution. With Streamlight Siege AA Lantern, you can choose between different modes. First of all, there’s a white and red LED light that can be set on high, medium or low. When on high, the white light has 200 lumens and can run for 7 hours. When you need less light, go for the low setting of 50 lumens that will keep the lantern running for 37 hours. As for the red light, it can be used in a night vision preserving mode or a flash SOS mode lasting around 12 days. 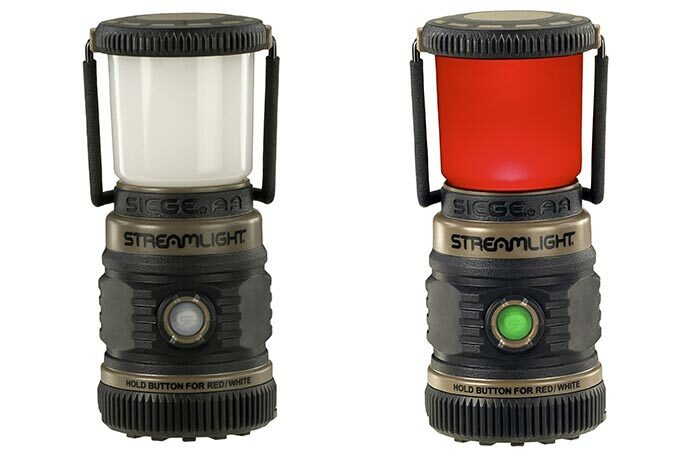 Streamlight Siege AA Lantern has five different modes and two types of LED lights- red and white. Streamlight Siege AA Lantern features a polycarbonate glare-reducing cover and a polymer construction with a rubber molded base. This is great both for durability but also for keeping it stable on uneven surfaces. The handle is ergonomic and can be locked in different positions so you can easily hang it. 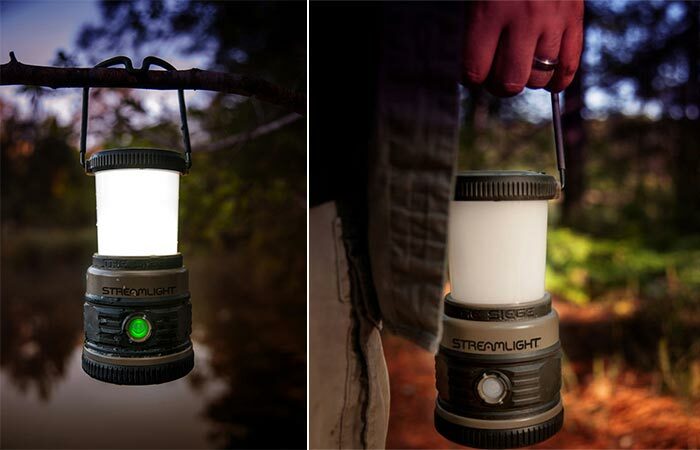 The Streamlight Siege AA Lantern provides even 360° light distribution and it’s easy to hang or carry it. If you accidentally drop the lantern into water, don’t worry, it’s waterproof to 1m and is impact resistance from 2m. Also, it will float so you can quickly retrieve it. There’s a battery level indicator that goes from green, yellow and red to let you know when to replace it. When it’s at the end of its battery life, it will start flashing red. As for its weight, it’s 8.8 oz with batteries. 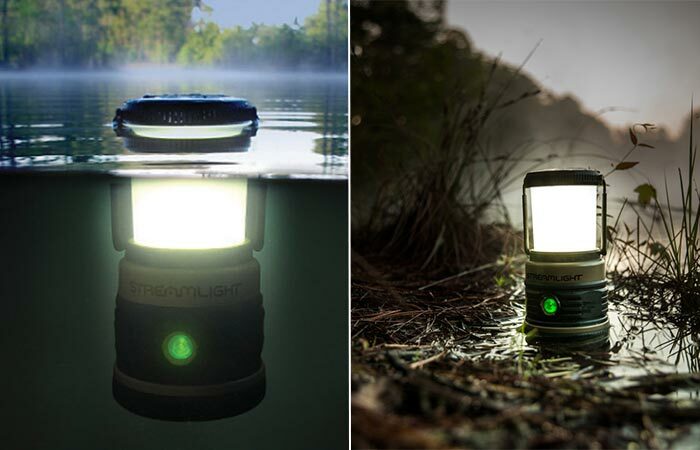 The lantern floats and is water resistant up to 1m. The bottom is suitable for placing it on slippery, muddy or uneven surfaces.